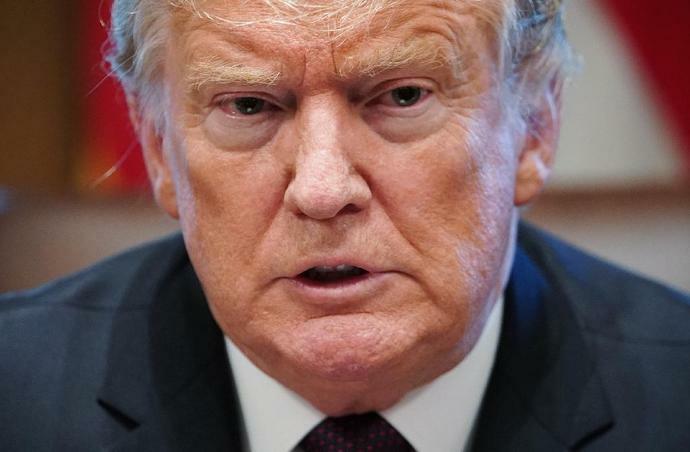 Washington (AFP) - President Donald Trump plans to ramp up the pressure on Venezuela's embattled leader Nicolas Maduro in his State of the Union address on Tuesday, doubling down on US support for his challenger Juan Guaido. "We stand with the Venezuelan people in their noble quest for freedom," Trump is set to say, according to excerpts from his annual speech to Congress -- where the opposition leader's envoy to Washington was among the top guests. In contrast to Trump's isolation on many international issues, his recognition of Guaido has been followed by major Latin American powers such as Brazil and Colombia with key European states including Britain, France, Germany and Spain following suit on Monday. The United States has sought to squeeze Maduro both economically and diplomatically, imposing sanctions that target his inner circle and ruling that Venezuelan assets in the US banking system belong to the National Assembly, which Guaido's opposition forces control. "We discussed mutual support for Venezuela's Interim President Guaido, including logistics for providing humanitarian assistance for the Venezuelan people," Bolton tweeted. Many observers believe the key to Maduro's survival is the military, whose leadership still backs the government despite US appeals.